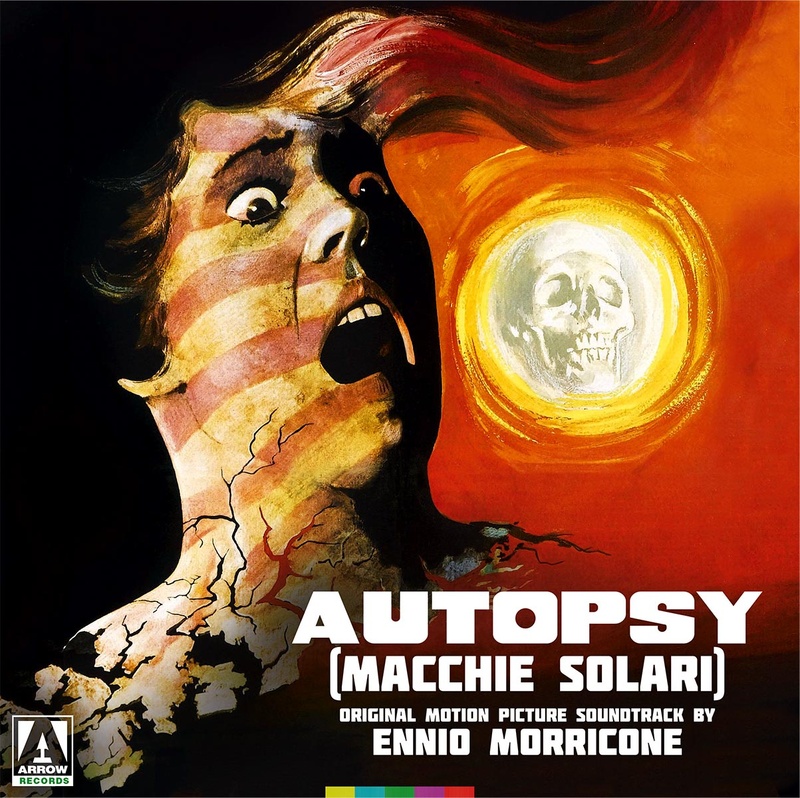 ARROW RECORDS is proud to present the original soundtrack to Armando Crispino’s nightmarish giallo thriller, Autopsy (Macchie solari). Previously unpublished on vinyl, this is one of legendary composer Ennio Morricone’s most uncompromisingly experimental scores, which largely eschews the lounge jazz sounds often associated with the giallo genre in favour of dissonant improvisations, creepy atmospherics, jarring string arrangements and extraordinary vocalisations by Edda Dell’Orso. This limited vinyl edition has been newly mastered from the original analogue tapes by James Plotkin and is presented on 180gram wax, housed inside a 350gsm sleeve.